Will artificial intelligence bring a new renaissance? Artificial intelligence is becoming the fastest disruptor and generator of wealth in history. It will have a major impact on everything. Over the next decade, more than half of the jobs today will disappear and be replaced by AI and the next generation of robotics. AI has the potential to cure diseases, enable smarter cities, tackle many of our environmental challenges, and potentially redefine poverty. There are still many questions to ask about AI and what can go wrong. Elon Musk recently suggested that under some scenarios AI could jeopardise human survival. AI's ability to analyse data and its accuracy is enormous. This will enable the development of smarter machines for business. But at what cost and how will we control it? Society needs to seriously rethink AI's potentials, its impact to both our society and the way we live. Artificial intelligence and robotics were initially thought to be a danger to be blue-collar jobs, but that is changing with white-collar workers – such as lawyers and doctors – who carry out purely quantitative analytical processes are also becoming an endangered species. Some of their methods and procedures are increasingly being replicated and replaced by software. For instance, researchers at MIT's Computer Science and Artificial Intelligence Laboratory, Massachusetts General Hospital and Harvard Medical School developed a machine learning model to better detect cancer. They trained the model on 600 existing high-risk lesions, incorporating parameters like, family history, demographics, and past biopsies. It was then tested on 335 lesions and they found it could predict the status of a lesion which 97 per cent accuracy, ultimately enabling the researchers to upgrade those lesions to cancer. Traditional mammograms uncover suspicious lesions, then test their findings with a needle biopsy. Abnormalities would undergo surgeries, usually resulting in 90 per cent to be benign, rendering the procedures unnecessary. 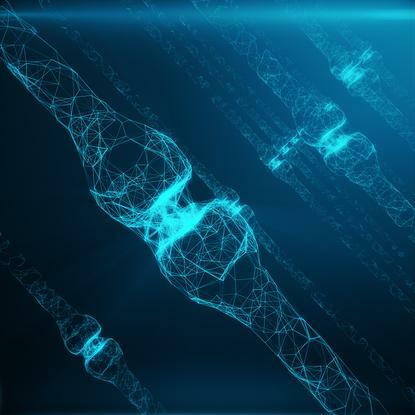 As the amount of data and other potential variables are considered, human clinicians cannot compete at the same level of AI. So will AI take the clinicians job or will it just provide a better diagnostic tool, freeing up the clinicians to provide better connection with their patients? Confusion around the various terminologies relating to AI can warp the conversation. Artificial general intelligence (AGI) is where machines can successfully perform any intellectual task that a human can do - sometimes referred to as “strong AI”, or “full AI”. That is where a machine can perform “general intelligent actions”. Max Tegmark in his recent book Life 3.0, describes AI as a machine or computer that displays intelligence. This contrasts with natural intelligence which you and I and other animals display. Research of AI is the study of intelligent agents; devices which sense their own environment and take actions to maximise its chances of success. Tegmark refers to Life 3.0 as a representation of our current stage of evolution. Life 1.0 referred to biological origins, or our hardware, which has been controlled by the process of evolution. Life 2.0 is our cultural development of humanity. This refers to our software, which drives us and our minds. Education and knowledge has been a major influence on this stage of our journey, constantly being updated and upgraded. These versions of Life are based on survival of the fittest, our education and time. Life 3.0 is the technological age of humanity. We have effectively reached the point where we can upgrade our hardware and software. Not to the levels of the movies, it may be possible in the future but that might be a while away. All these upgrades have been due to our use of technology, advanced materials and drugs that improve our bodies. This was a period between the 14th and 17th centuries. The Renaissance encompassed innovative flowering of Latin and vernacular literatures, beginning with a resurgence of learning based on classical sources. Theories proposed to account for its origins a characteristic, focusing on a variety of factors including the social and civic peculiarities. Renaissance literally means ‘"rebirth’, a cultural movement that profoundly affected European intellectual life. This period was a time of exploration of many changes in society. People were able to ask and explore their questions. A ‘Renaissance man was a person who is skilled in multiple disciplines, someone who has a broad base of knowledge. These people pursued multiple fields of studies. A good example of a Renaissance man of this period was Leonardo Da Vinci, a Master of Art, engineering, anatomy as well as many other disciplines with remarkable success. The Renaissance man shows skills in many matters. Einstein was a genius of theoretical physics, but he was not necessarily a Renaissance man. In the past, universities students were encouraged to study the liberal arts. The idea being to give a more rounded education. It is not the case that many of these students are polymaths. That of having a broad-based education would lead to a more developed mind. As indicated by Daniel Pink, a Whole New Mind, the Master of Fine Arts will become the MBA of the future. AI is going to free us from many ardours duties around what we do for work. Businesses that have embraced these changes will grow, others will go. Robotics and AI are starting to have major social and cultural impacts. We are seeing more protests technology, people becoming activists. The inequality of pay to work is impacting many people. Taxi drivers are affected by Uber, hotels by Airbnb and many more, the rules have changed, and many are not happy. This situation draws a close parallel to the cottage industries of the industrial age. That impact brought the rise of the luddites that were led by John Lud. The disenfranchised workers faced with innovation, industrial level of change and the destruction of their industry rings true today as it did for the luddites in the industrial age. We need to take this time as an opportunity to create a new Renaissance period, enabling more of us to become ‘Renaissance people’, using our creativity and innovative traits. Innovation is what businesses wants but computers struggle to master. Jobs of the future will come from this aspect of humanity, but if we are not looking, we ignore the situation the neo-Luddites may have a point. Potentially creating a comparable situation as when the then luddites started to break the industrial looms. This was criminalised in 1721, leading to the Frame Breaking Act of 1812 and the death penalty. Not to say we will get that far, but there are some already building their camps and weaponising themselves for just that eventuality. So, what can we do? We need to talk about AI and the future. We need to realise that the impacts are going to be eminence - that we need to plan. Jobs are and will change so you need to prepare. Innovation is a top priority for many organisations. It can no longer be left to the realm of the geeks and techies. We all need to be more innovative and creative, it must increase exponentially and become a core competency. Innovation is a matter of a change in mindset, developing the right environment and circumstances. We need to ask more questions, to find the right answer. This is an important skill that many have forgotten or lost. We can find many answers on Google but, without the right question they are worthless. We need to explore the process of doing just that, asking the right question to achieve the right outcomes. Get ready for AI and the future because the future is NOW! Marc Dimmick is a technology and management strategist at Consilium Futuri – Design the future.